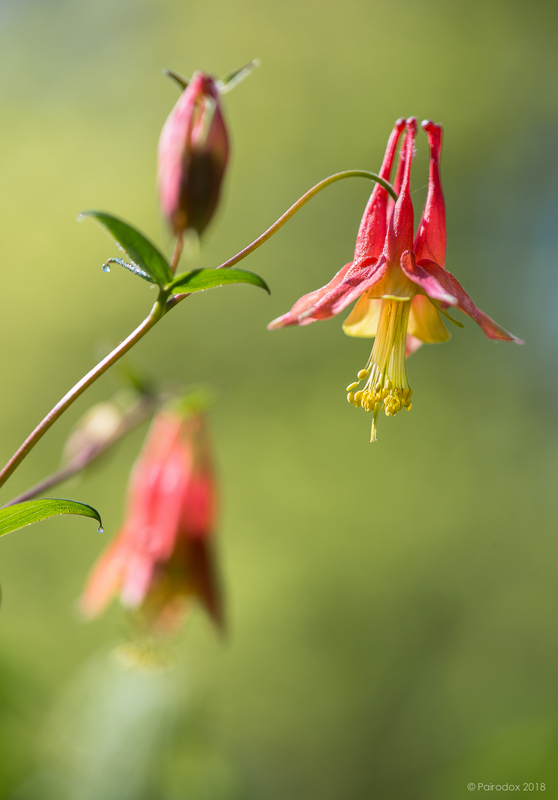 I have photographed Columbine before and welcomed the opportunity to do so again. The one here was growing just beside the road. The old women said We must transplant these, for surely they will be damaged by the plows this winter. No. And the same goes for the Bluets which bedeck the footpath. How arrogant to think that such actions, taken in what amount to a milli-microsecond of cosmic time, will have any lasting influence on these colonies of beautiful, living, things.